You are here: Home » It’s that bloody dock! 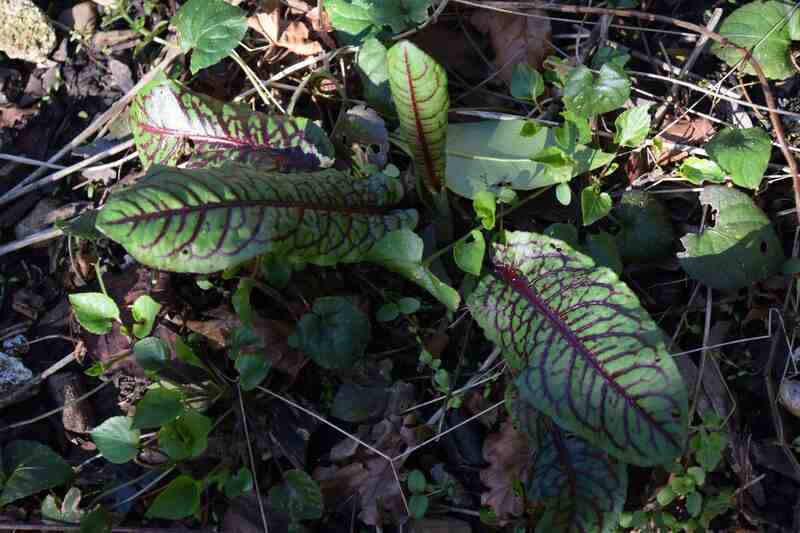 Yesterday we had a native plant that has been turned into a garden plant and today we have something similar though, as far as I know, it is not any different to the plant that is found in the wild in Europe, Rumex sanguineus. The species name means ‘bloody’ and the common name is bloody dock, which is very descriptive whether you refer to the red veins in the leaves or the way it seeds everywhere! I can’t say that I have a love/hate relationship with this plant because I can’t love it and nor do I hate it. It is definitely a pretty plant, when grown well, and if the light catches the leaves they positively glow. It is really at its best in rich, even clay soil, when it will make a lush plant with a dozen or so leaves 15-20cm long. In poor soil or in dry, full sun, it will run to flower soon after germinating and not be as useful in the garden since the flowers are just what you expect from a dock. It is a good idea to remove the seedheads as soon as you see them appear to encourage good foliage. If you are adventurous, you can eat the young foliage which has a tangy, lemony taste. Like sorrel and spinach, you have to watch you don’t eat too much because of the high levels of oxalic acid so don’t make it more than one one your ten a day! Yes, I know it well! Seemed like a good idea at the time – can’t get rid of them now!